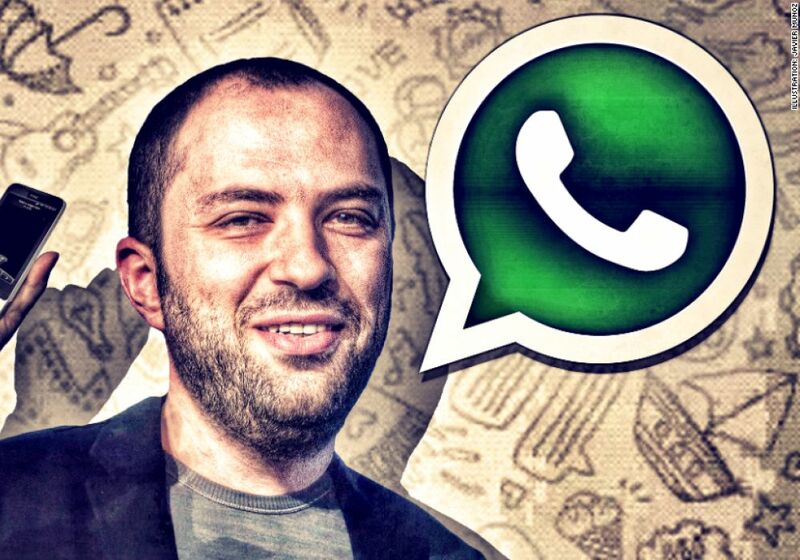 The incredible story of Jan Koum, co-founder of Watsapp. 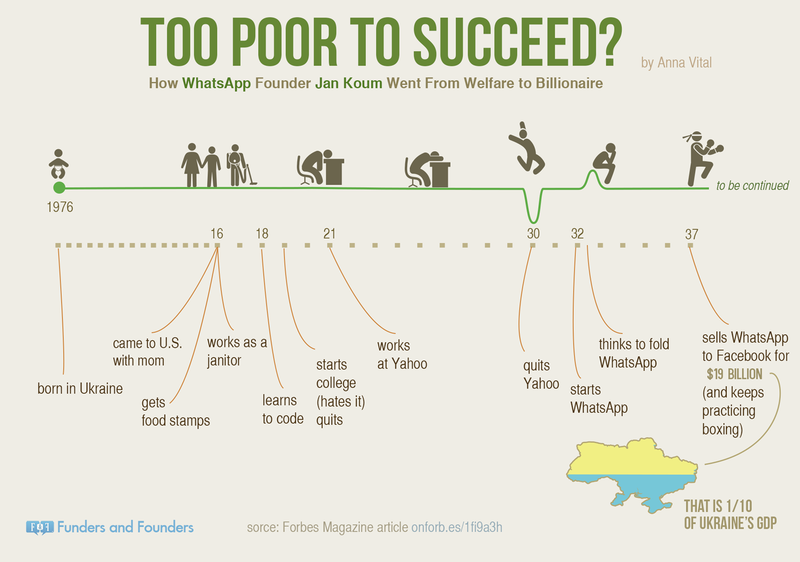 Jan Koum, at the age of 41 is a billionaire and #48 in the Forbes 400 wealthiest people in America. But did you know he arrived in the US at the age of 10 with his mother and grandmother who were basically penniless and needed state assistance to get a small apartment? He swept floors to help his mother pay the bills. His mother died of cancer when he was 24 and he also suffered the loss of his father (who never made it across from the Ukraine). Being of Jewish descent in the Ukraine, in the 70’s and 80’s most communication was monitored by the state. When he was in the US and his father in the Ukraine, it was really expensive to contact him. These are two of the factors that played a role in wanting to develop something like Watsapp (inexpensive, secure communications). And that was the product that took him from penniless to a billionaire when he eventually sold to Facebook for $19 billion! Want to learn more? Then listen to Vijay Peduru’s podcast (part of his excellent Amazing Founders Stories series) on Jan Koums journey (or check out Anna Vitals infographic on his life below). Click on the link and be inspired!!!! 0 responses on "The incredible Watsapp founder story"